Let me kick it up a gear with a nice little Atari ST mod you can do at home cheaply! Teardown Lab - Make your own portable greenscreen CHEAP! Finally a truly portable and really cheep greenscreen for twitch type things! And it feels like Atari ROM chips! Under the gun I actually have to make something and finish it nicely. This is my approach! Want to keep track of my content? There is a fully searchable archive at www.backofficeshow.c­om, please check it out! Now you can buy me a coffee! Please support me on Patreon at http://patreon.com/BackofficeShow Thanks you lovely people! Want to start small scale production? You need to know how to cast! Want to keep track of my content? There is a fully searchable archive at www.backofficeshow.c­om, please check it out! Now you can buy me a coffee! Please support me on Patreon at http://patreon.com/BackofficeShow Thanks you lovely people! Another challenging calculator from @billysastard1 Want to keep track of my content? There is a fully searchable archive at www.backofficeshow.c­om, please check it out! Now you can buy me a coffee! Please support me on Patreon at http://patreon.com/BackofficeShow Thanks you lovely people! Time to get automotified and start hacking my car a bit more! Want to keep track of my content? 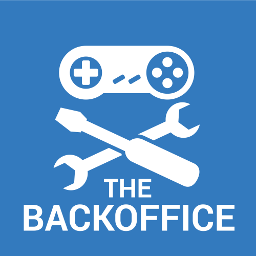 There is a fully searchable archive at www.backofficeshow.c­om, please check it out! Now you can buy me a coffee! Please support me on Patreon at http://patreon.com/BackofficeShow Thanks you lovely people! Teardown Lab - BBC B Unboxing Yay, childhood revisited! Who else had an Acorn BBC Computer!? Want to keep track of my content? There is a fully searchable archive at www.backofficeshow.c­om, please check it out! Now you can buy me a coffee! Please support me on Patreon at http://patreon.com/BackofficeShow Thanks you lovely people! This is one awesome bit of kit! How cool is this retro luggable computer?! Want to keep track of my content? There is a fully searchable archive at www.backofficeshow.c­om, please check it out! Now you can buy me a coffee! Please support me on Patreon at http://patreon.com/BackofficeShow Thanks you lovely people! Its been a crazy month, a lot of creative stuff is happening right now! Want to keep track of my content? There is a fully searchable archive at www.backofficeshow.c­om, please check it out! Now you can buy me a coffee! Please support me on Patreon at http://patreon.com/BackofficeShow Thanks you lovely people! Fancy a look at some old graphical interfaces, lets do some archaeology! Want to keep track of my content? There is a fully searchable archive at www.backofficeshow.c­om, please check it out! Now you can buy me a coffee! Please support me on Patreon at http://patreon.com/BackofficeShow Thanks you lovely people! Teardown Lab - Atari Bits from Carl! Carl fantastically gave not one, but TWO things I desperately needed! How fantastic is that? Want to keep track of my content? There is a fully searchable archive at www.backofficeshow.c­om, please check it out! Now you can buy me a coffee! Please support me on Patreon at http://patreon.com/BackofficeShow Thanks you lovely people!